Type 2 diabetes is a common, chronic condition often diagnosed in people as they age. It is associated with a much higher rate of stroke and heart disease and can lead to diabetic complications like blindness, pain, and kidney failure. Being obese or overweight, having a family history of diabetes, seniors, and women who have had gestational diabetes are more at risk for developing type 2 diabetes. Type 2 diabetes is a disease strongly associated with lifestyle dynamics, both in its development and management strategy. The disease is responsive to both changes in diet and exercise but some people can be somewhat reluctant to perform the appropriate type of exercise required. New research has shown that both cardiovascular exercise and weight-training (strength-training) exercise is necessary to achieve a reduction in the risk of developing this disease. 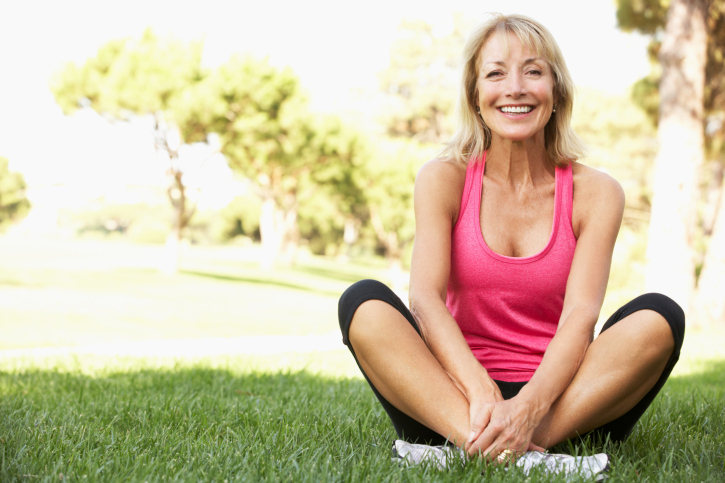 The research study looked at a total of 99,316 non-diabetic women over the age of 50 and assessed their time spent per week performing resistance exercise. Less intense muscular exercise like yoga or cardiovascular exercise was associated with a reduced risk of developing type 2 diabetes. The subjects were followed for a total of eight years. What the researchers found is that those women who were participating in exercise consisting of strength-training regimens and lower intensity resistance-training had a lower risk of developing type 2 diabetes. The lowered risk was independently shown after the effects of aerobic training and other factors were controlled! In other words, the effects of resistance training on the reduction of risk were only due to the unique physiological effects associated with resistance exercise alone! In this study, compared with women who were relatively inactive, the women who participated in at least 150 minutes of cardiovascular activity and 60 minutes of strength training per week had the lowest reductions in risk. These levels reflect current recommended levels of physical activity for adult women. However, this study also indicated that women who completed cardiovascular and resistance exercise in lower levels than currently recommended still experienced a significant reduction in risk compared with sedentary women. If you are a female, you should not be concerned regarding the effects that weight training will have upon your appearance. Interestingly enough, weight training will give you new muscle but will lead to losses in body fat. This will cause you to lose inches and will give you a shapelier, stronger, and functionally more capable body. Weight training keeps blood sugar levels under control because it enhances insulin sensitivity on the receptor sites of the muscle and liver cells. This causes more of your blood sugar to move into cells where it can be used as an energy source or stored as glycogen. Chronic resistance exercise also stimulates enzymes located on your fat cells which liberate stored body fat to be used by muscles as an energy source during and after exercise. Weight training performed for 20 minutes three times per week, combined with cardiovascular exercise done for at least 20-30 minutes every day, will significantly reduce the risk of developing type 2 diabetes in adult women. Strong, fit women are healthy women! “Muscle-Strengthening, Conditioning in Women Associated With Reduced Risk of Diabetes,” ScienceDaily web site, January 14, 2014; http://www.sciencedaily.com/releases/2014/01/140114202907.htm,last accessed Jan. 20, 2014.